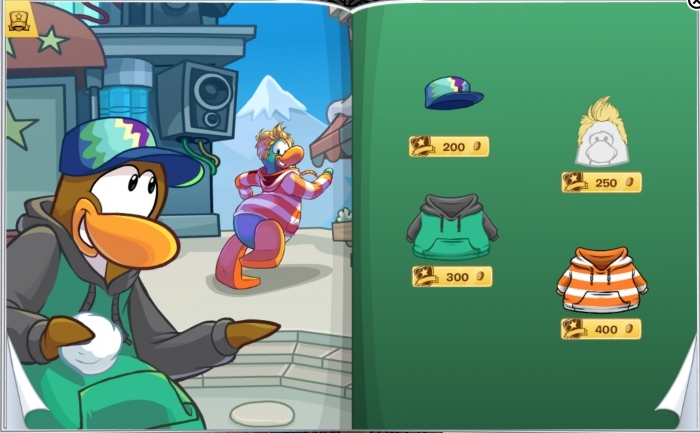 Club Penguin’s sixth Penguin Style catalogue for the year, June’s edition, is now out. Here are the new pages for June 2016. 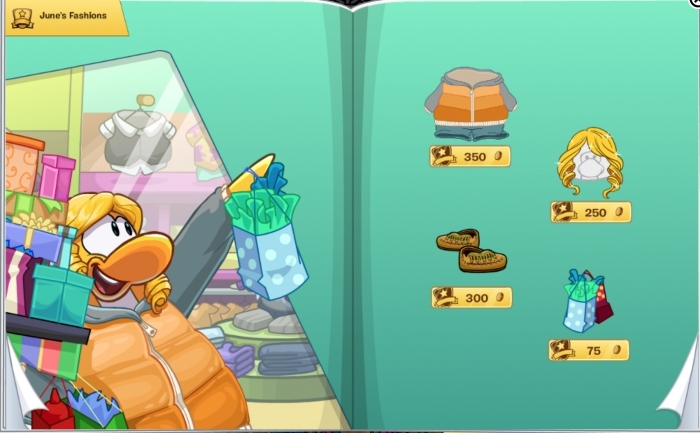 The classic treasures section is back and with some newly added items! 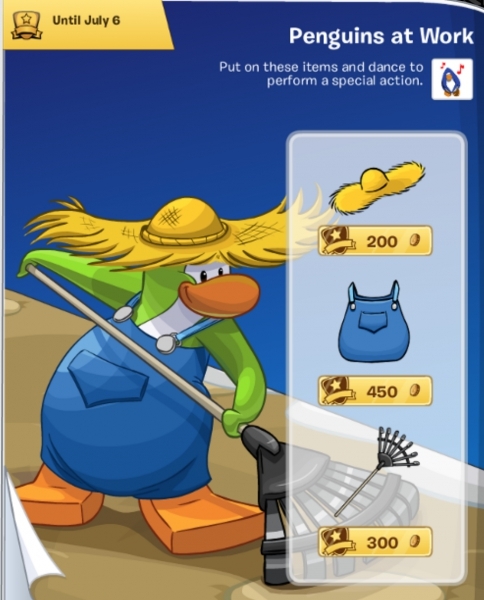 This month’s penguins at work outfit is the farmer. 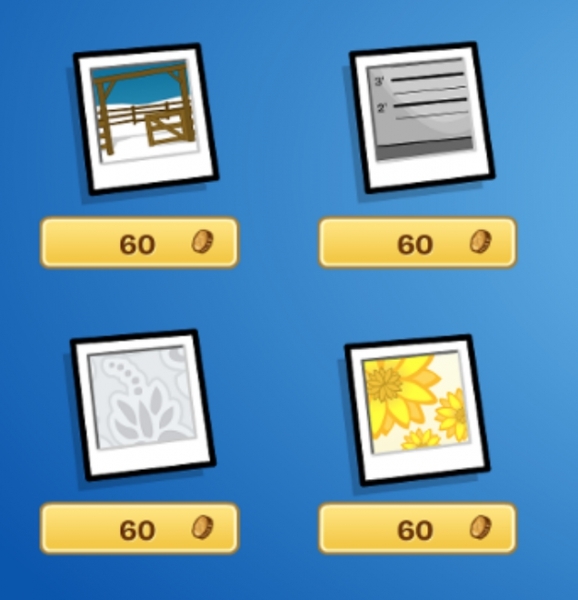 Here’s are this month’s backgrounds. 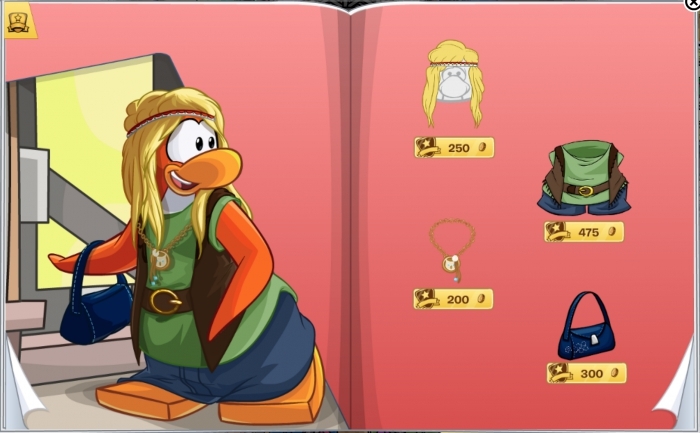 How do you like this month’s styles? 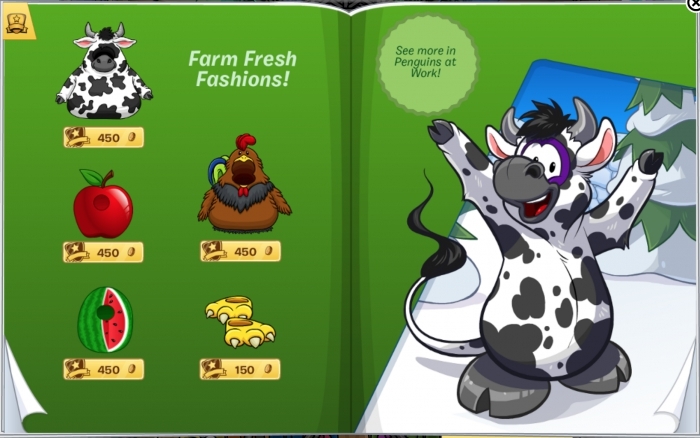 I like your blog, Trainman! 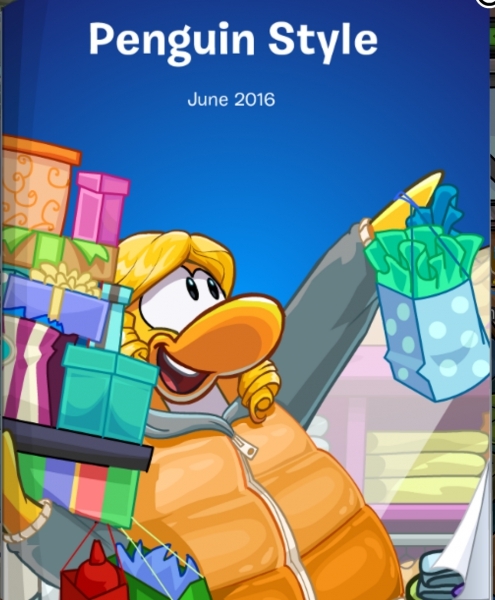 is that gift bag on the cover new? or anything new? 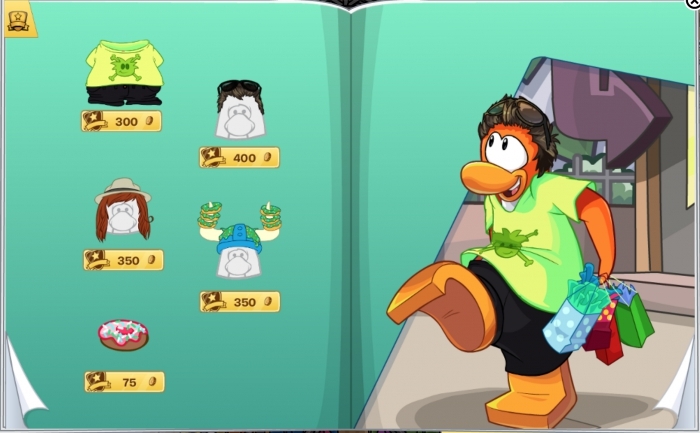 There are some new items in the catalogue.